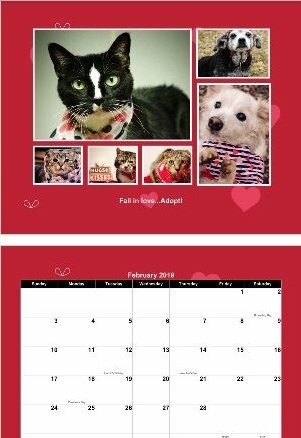 Only use this form if you'd like to pick up your calendar at Animal Rescue, Inc. If you'd like to have your calendar shipped to your home, or want to see more images of the calendar, go here. Support your local Sanctuary for Life by purchasing one of our beautiful 2019 calendars! Each month features ARI alumni and residents with photos by Waggerz-n-Whiskerz Photography. See the heartwarming images of each rescued soul. Proceeds from the calendar will benefit these and future animals at the Rescue. We'll contact you via e-mail when your calendar is ready for pick up at Animal Rescue, Inc.!